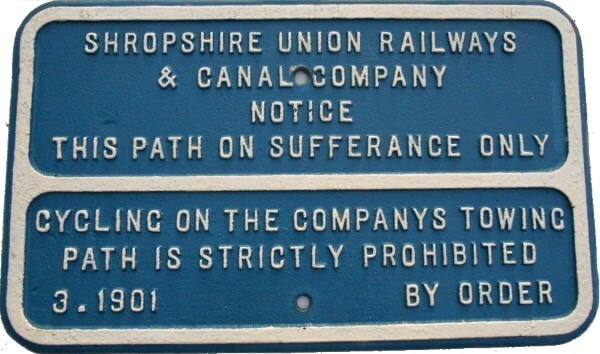 Lot 2 C/I NOTICE "SHROPSHIRE UNION RAILWAYS AND CANAL COMPANY NOTICE - THIS PATH ON SUFFERANCE ONLY - CYCLING ON THE COMPANYS TOWING PATH IS STRICTLY PROHIBITED - 3.1901 - by order. Size 26" x 16". Restored condition.